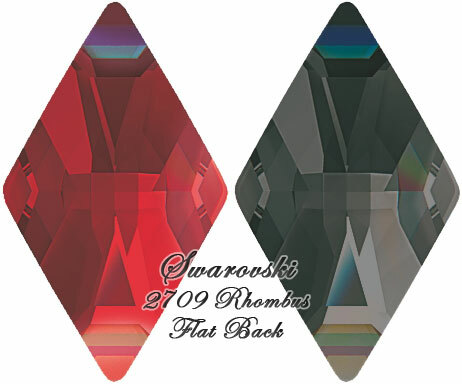 Swarovski Crystal Flatback 2709 Rhombus Hotfix was newly released in early 2012, as part of their Innovations Spring/Summer 2013. The Rhombus was previously only available in the Flat Back No Hotfix. Both are offered in the same range of colors and effects. I so happen to have on me some lovely photos of the Swarovsky Crystal Flatback 2709 Rhombus as at Feb 2012. (Photo Credit: CREATE YOUR STYLE). This is sure to whet your appetite so be forewarned! 2709 Hotfix can be applied using standard heat press/iron. The following gives you an overview. Recommended: test with original fabrics.